Attending a highly selective liberal arts institution is no easy task, and many Truman students would attest to a heavy workload. Between group projects, labs, papers and tests, free time can be tough to come by, but junior nursing major Alex Scherr thinks there is more to the college experience than a course of study. 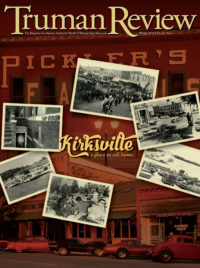 Scherr has had the unique experience of viewing his time at Truman through the eyes of Spike, the University’s beloved Bulldog mascot. While his involvement in the nursing program and other extra curricular activities like the Lutheran Student Fellowship take up a large bulk of his time, he sets aside roughly five hours a week to inspire purple pride as Spike. Rather than seeing this as a time commitment, Scherr feels it is a necessary supplement to his busy schedule. Scherr began his mascot career as the Viking during his final two years at Parkway North High School in St. Louis, Mo. Upon attending a Truman visit day, Scherr spoke with a cheerleading information table to express his interest in being a mascot, and after filling out an application, he was approached during his summer orientation and offered the position. Three years later, Scherr still proudly wears the Bulldog uniform. While the nursing program at Truman offers a comprehensive education grounded in a community-based, liberal arts experience, Scherr views his time as Spike as an opportunity to further his learning outside the classroom. This enthusiasm for connecting with the campus community is reflected in some of Scherr’s favorite experiences as Spike, including signing autographs for middle school students during Homecoming week and receiving a giant ring as a proposal from a student. 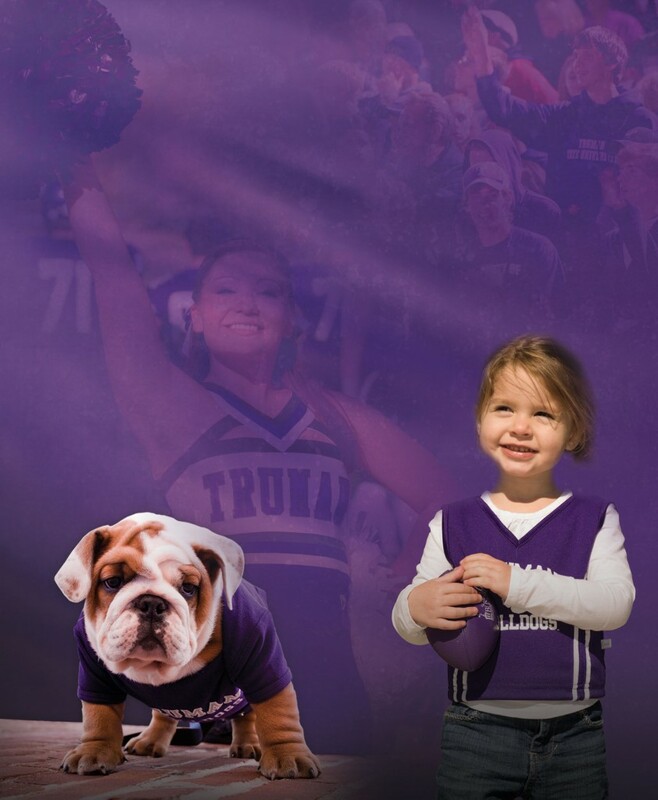 There are two times a year where it’s okay to cover your kids, home, office, dog and yourself head-to-toe in Bulldog purple (well, it’s always okay, but there are only two days a year where it’ll earn you prizes). Since 2011, we’ve celebrated Truman National Spirit Day twice a year. Make sure to mark your calendars for Friday, April 4 and Oct. 3, 2014! Photos will be displayed on our website and Facebook pages, plus prizes will be awarded to those who enter. Our fall semester (Oct. 4, 2013) winner was Meghan Crider who literally screamed her love for Truman at the top of a mountain! Now that’s dedication. Her purple pride was rewarded with the ultimate Bulldog swag package!